How does cocaine look like? If you base your ideas on what you see in movies and television, it is a fine, bright white powder similar to baby powder, that is sold in small Ziploc baggies. But is this what coke looks like in real life? Surprisingly, it comes in many more variations than you might expect. Most people are not familiar with what does cocaine smell like either. And this can make it hard for loved ones to identify coke when they see it. For those who are worried about a loved one using cocaine, it is vital to understand what to look for. What Does It Generally Look Like? There are three forms of cocaine. The first is hydrochloride salt, or what most people think of as just coke. The other type is crack cocaine, also called freebase. The types have different appearances, so what cocaine looks like depends on what type of coke you are looking at. The hydrochloride salt is usually in a powdered form by the time it makes it to street dealers and users. The texture is similar to baby powder. In fact, it is so similar that many dealers will cut their coke with baby powder in order to increase their profits. The color can range from a clear white to an off-white, and sometimes even a yellowish color. Crack cocaine is a purer form of cocaine and looks somewhat like rocks. Most of the time, crack cocaine is off-white in color, but it can have a rosy hue that makes it appear pink. It is not crystalized like some other illicit drugs. Synthetic coke can look like powdered and crack cocaine. It also may look similar to meth in that it may be more crystallized than rock-like. What does a cocaine plant look like? While the coca plant can be grown in the United States, coke production is extremely involved, so even if a loved one does own a plant, they are not likely to be using it to produce coke. However, they could be chewing on the leaves to achieve a high. In addition to knowing what cocaine looks like, loved ones can keep an eye out for paraphernalia often associated with cocaine use. For coke, common items are small baggies, straws or other tubes, pipes, mirrors, spoons, razor blades, and lighters. While there may be other reasons for having these items, they should raise suspicion. Does cocaine have a smell? Yes, it does, but the smell depends on the form of the drug being used. Powdered coke and crack cocaine have distinct odors. 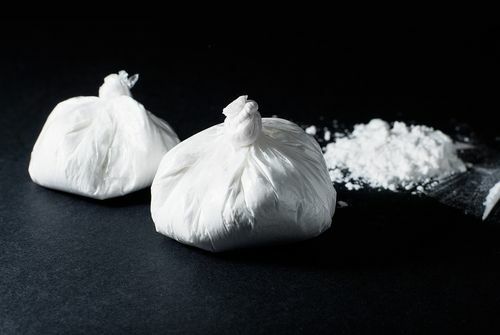 Additionally, some users opt for synthetic coke, or bath salts, which also smell different from other types of cocaine. What does cocaine smell like when it is powdered? When it is mostly pure, it should smell sweet with tones that are somewhat floral. The smell is quite natural, which can make it hard for people to recognize. It can easily be mistaken for perfume or incense. If the coke is not pure, it may have these scents mixed with chemical undertones. Crack cocaine smell, despite being considered the purer version of the product, is less natural than its powdered counterpart. Many compare the smell to burning rubber or plastic. The smell is heavily chemical and can make those smelling it feel like they are choking on it. Bath salts have a similar smell, but it is described as being more medicinal than plastic. By the way, there are many dangerous cocaine effects that can destroy the body and health. Coke is a dangerous drug in any form, and it has been throughout cocaine history. All three types of coke—powdered, crack, and synthetic—have been linked to deaths. Coke in its various forms is related to about one in every three drug-related emergency room visits in the US, with more than 5,000 deaths from the drug in most years. Each type of cocaine has different risks. 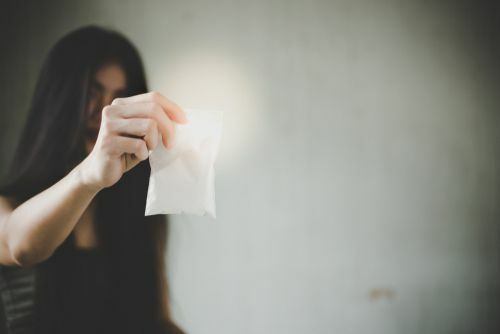 With standard coke, there is a great risk that the drug has been cut with other substances, some of which can be dangerous, including local anesthetics. Crack cocaine is risky because it is cocaine in its purest form, which makes it easier to overdose on. Finally, synthetic coke is potentially the riskiest of all because there is no set recipe for making it, which means the final product is unpredictable. In the end, there is no safe type of coke to use. No matter what type of cocaine a loved one is using, they need to get clean with cocaine detox. If a loved one is using cocaine in any form, there is assistance available to them. However, not all drug addicts are willing to admit to their use. This means you need to be able to identify what cocaine looks like and cocaine smell as well as be familiar with the paraphernalia used to consume it. Because coke comes in numerous forms, concerned parties must know about all of them; each type looks and smells different from the other. They also require different tools for use. With the right information, lives can be saved. If you or a loved one are using cocaine and are ready to get clean, our addiction specialists are standing by to help. Call us at (888)-459-5511 to learn about rehabilitation opportunities. I have a neighbor I believe who is on snorting cocaine. It s an old building and the air circulates thu his and my apartment. Can his usage effect me.